If you are looking for an affordable phone, from a respectable manufacturer, then look no further, the Samsung Galaxy J3 is the one for you and just for $169.99 it comes with Android 6.0 Marshmallow, which is awesome, and rare for budget phones. The Samsung Galaxy J3 comes with a 5-inch 720P AMOLED display and a decent battery life, making it a good choice for everyone. The Samsung Galaxy J3 is pretty much identical to the Galaxy S4 in looks. It measures 5.6 by 2.8 by 0.3-inches and weighs 4.9 ounces, resembling those of the HTC Desire 626. One-handed use is not an issue for this phone. Sporting a plastic silver frame with Samsung’s classic home button, and capacitive buttons on either side of the phone. A power button on the right, volume control on the left, the back casing can be removed, to access the battery, SIM slot and MicroSD slot up to 200GB. One thing the Galaxy J3 has in its favor is that Samsung has truly become the leading manufacturer of amazing Displays, and a proof of that is their AMOLED screens. And the J3 has a 5.0-inch, 1280×720 AMOLED panel offering rich, bright colors and good viewing from every angle that holds up on the outdoors. Everything looks good on this screen, including Text, Games, and Videos. But, it can’t really compete with high-end brands sporting 1080p and Quad HD Displays. The Galaxy J3 is powered by an Exynos 3475 1.3GHz by Samsung, it may be mid-range or “entry-phone” but it still pretty good, and it holds its grounds compare to other competitors. It has a smooth performance, with 1.5GB RAM, an above average gaming performance without a glitch, and also more than capable of multitasking, even with heavy apps. Battery life is awesome, at full capacity usage, it stands at 9.27 hours. Blowing its competitors right off the water. The battery can be removed, so you can just swipe it for a fully charged one and you are good to go. The rear camera is 5MP and that is one of its downsides, autofocus is very slow each time. However, it does take clear pictures, but with bland and uninspiring looks. Video recordings stand solidly at 720P and 30-Frames per second. 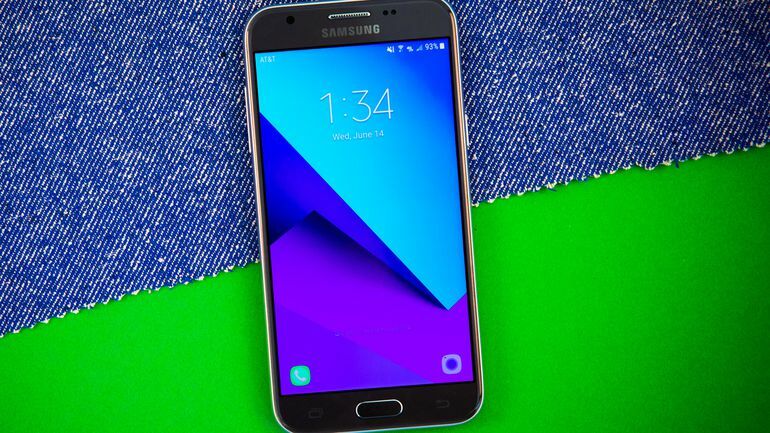 The Samsung Galaxy J3 comes with Android 6.0.1 Marshmallow with the TouchWiz UI by Samsung on top of it. It may no longer be the latest of Android OS, but it is one of the best, and you won’t find budget phones with a more advanced OS. In addition to the aesthetic changes, Samsung has added a couple features more, like Easy Mute, which silences phone calls when you place your phone facedown, Smart Alert which makes the phone vibrate when you picked it up if you have any missing messages or phone calls, Quick Launch allows you to launch the camera app just by pressing twice the Home Button, and last but not least, the Ultra Power Saving Mode which turns off the Wi-Fi, mobile data, and sets the display to white and black in order to save battery life.